If you must sit, we highly recommend you get an ergonomic chair. Here are a bunch of higher-end chairs to consider. One tip: Find one you like? Look for similar chairs from other vendors that may be a lot cheaper, but potentially not as well made. 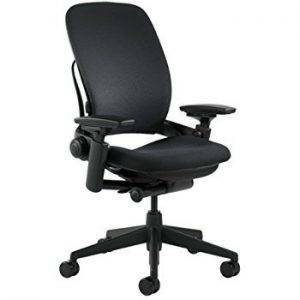 The ideal ergonomic chair is highly adjustable, comfortable for prolonged periods regardless of the user’s body type or position, durable, easy to use, and stylish. We know of several office chairs that meet these criteria. This is how we would rank them. The Leap excels in virtually every area. It’s a high quality chair, with durable materials that maintain performance and appearance very well over the long term. The best thing about the Leap, though, is that it is, all in all, the most extensibly adjustable chair we’ve found, taking into account the range of adjustable parts, available settings, and ease of use. In theory, the more adjustable a chair is, the more ergonomic it is, since more adjustability means more probability that you can find the perfect settings for your needs, even if it takes some effort. In practice, we found this to be true – the Leap is simply the most comfortable chair we’ve used. The Aeron is the most popular ergonomic chair model available, and for good reason; the Aeron does just about everything very well. Its special mesh padding allows the chair to both conform to the user’s body shape and keep temperature moderate without requiring discharges to other aspects of the chair’s design. The thing that holds the Aeron back from being even better is that it’s reliably difficult to adjust, and this is extremely why why we have it ranked as number two. The Think is another excellent offering from Steelcase, featuring a design that is both solid and reliable, as well as fantastic in the looks department. No other high-quality ergonomic chair we’ve seen the same range of viable customization options, so if you’re looking for a chair to fit into the unique look of your office or home setting, you may have luck with the Think even if you’ve been disappointed by the aesthetics of other ergonomic chairs . 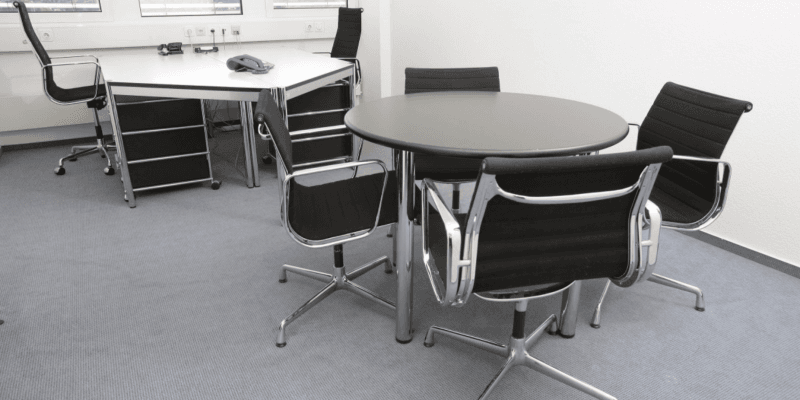 The Embody is one of the most expensive office chairs on the market, but it does deliver significant performance to help offset the cost. Its innovative back design provides incredible comfort and flexibility of use, while the overall build quality is what you’ve expected from a Herman Miller product, which is to say great. Ultimately, the price tag on the Embody means that it’s not an appropriate choice for everyone, but if you can afford it, you will almost certainly not be disappointed. The Liberty is part of Humanscale’s line of ergonomic task chairs. The Liberty has a minimalistic look that should help it fit into just about any setting without being obtrusive. In terms of ergonomic performance, it’s good, with a supremely comfortable seat among the most important features. The Freedom is more of a niche chair in that, when fitted with its optional headrest, it’s sometimes the best chair available for people who like to spend most of their in-chair time reclining, but not as great for other users. It’s otherwise solid but unspectacular. Shared with permission by C Benson.